It is one of those experiences and destinations that is on nearly everyones travel bucket list, and it certainly was on mine. So when I decided that I would go to Turkey in August, rather than a quick pop by visit and swiftly hopping along to the next country, I chose to extend my stay doing a more in-depth trip of Turkey to properly experience more that it has to offer. Less is more. 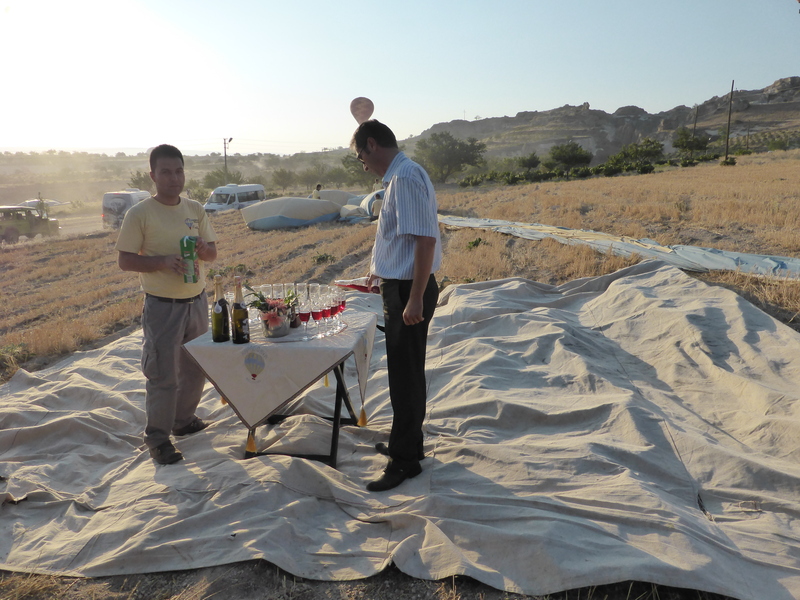 From the coast of Fethiye I joined a Busabout tour entitled Turkey Cappadocia Adventure thats main objective was as the name suggests to head east and explore Cappadocia before windingup in Istanbul. The tour was fantastic! With everything organised for us we just had to sit back and relax, stopping to enjoy and explore with plenty of free time and suggested activities available to us. 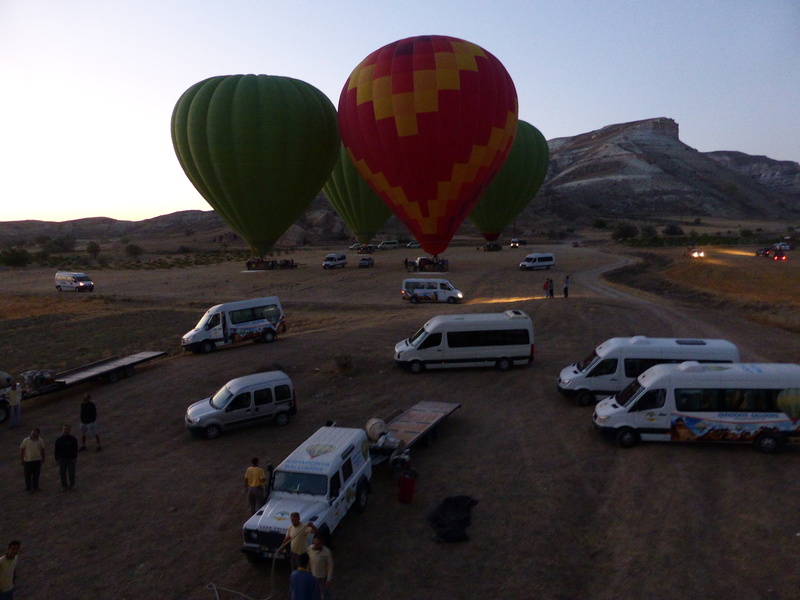 On the morning of our hot air ballooning we woke at around 4am and were driven by mini bus to the launch site. Seeing how the entire process comes about was an experience in and of itself! 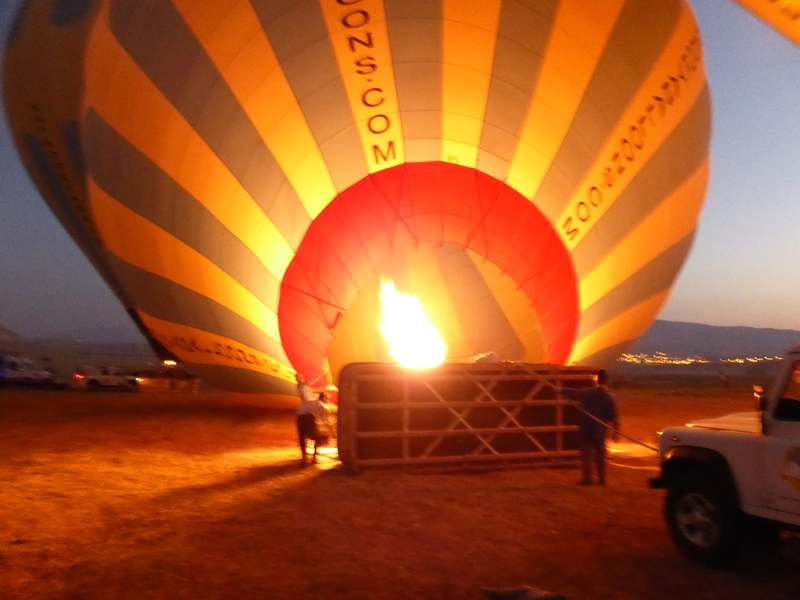 The balloons are enormous and begin laid out flat on the ground as air is pumped into them from the small fire engines above the little carry basket. One by one the balloons pop up off the ground, lifting to hover above the baskets tied to car bumper bars and staked to the ground. Assisted by our Turkish balloon team we climbed up foot holes built into the side of the basket and all piled, before waiting in anticipation for lift off. Before we knew it the ropes had been dropped and some pulled into the basket with us and we were floating up into the air leaving the barren landscape beneath us. 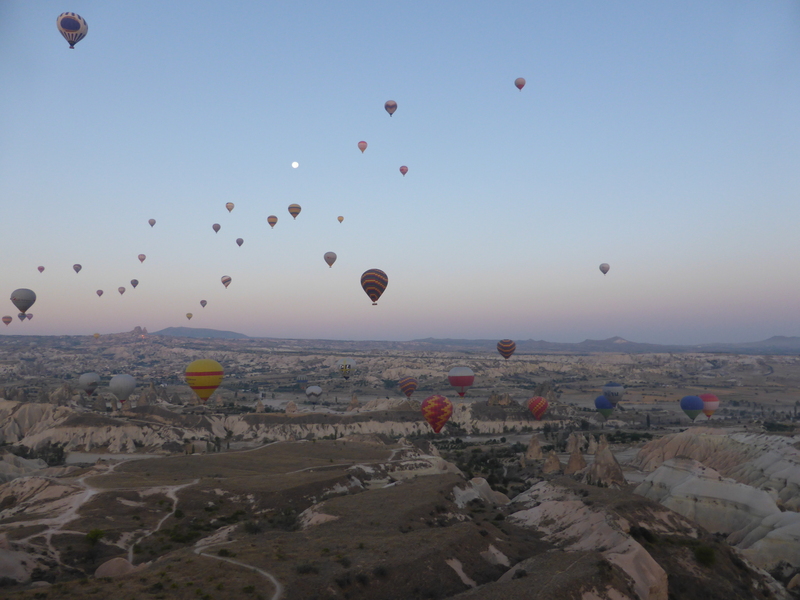 For the first little while we didn’t see that much, just the rise of the balloons beneath us and the growing distance between ourselves and the ground. Then as we came up the side of a rather large wall of caves the view opened up and we could see everything! There are a number of different companies that all offer a wide range of packages. Variables including the number of people per basket, breakfast or post ride refreshments, pick up and drop off points, certification and safety rating and of course price are all things to be considered. Also as the attraction is very popular it is advised to book a few days to a week in advance, possibly more if you have a specific desire to do it in a certain way. As everything was taken care of for us by Busabout we simply had to choose whether or not we wanted to participate and pay the pricey but irrefutably worthwhile €150. Cappadocia is arguably one of the most beautiful places to go hot air ballooning in the world and certainly one of the most renowned due to its unique landscape of caves and fairy chimneys amongst rock formed valleys. But it’s not only the view of the terrain that makes this a spectacular experience. 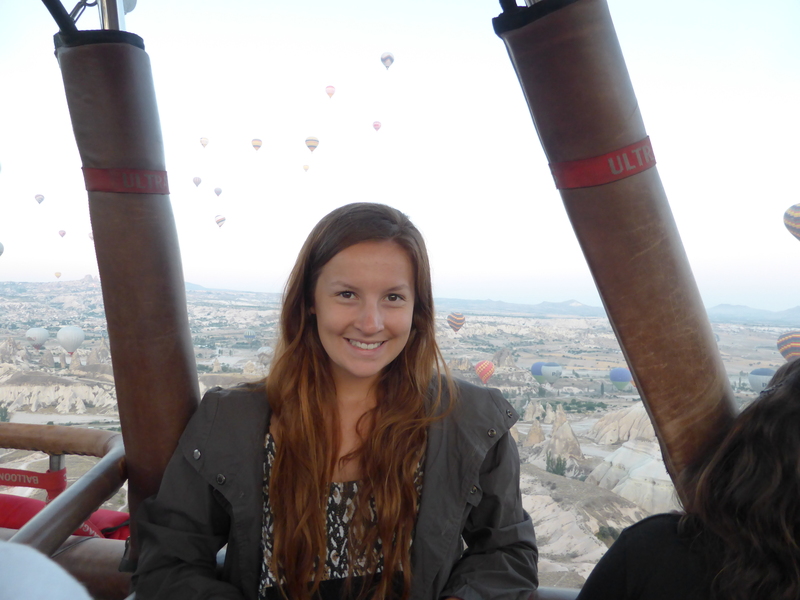 It is the fact that so many balloons fly at sunrise making the sight of the balloons themselves the attraction! It doesn’t matter if your balloon isn’t the prettiest in the sky, in fact you probably don’t want it to be because you won’t see it anyway. The journey lasts for around about an hour landing on a trailer (if all goes to plan) in a field valleys across from where you begun. Just before landing we were instructed to grasp the handles of the basket adopting the brace position we were shown before lift off; bending our knees and sitting mid air, as though on a chair, supported through our grip on the handles. 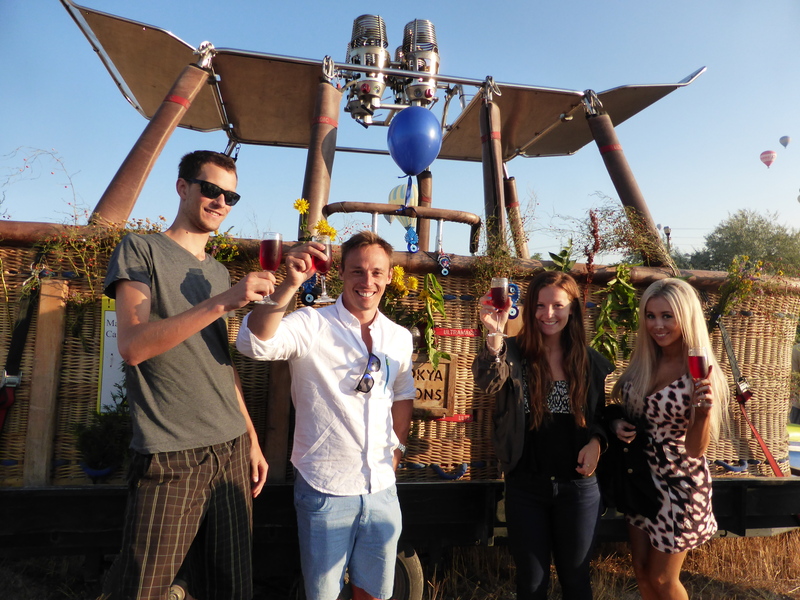 Then as the basket is decorated by the Turkish team in charge of our balloon it is time for photos, and early morning champagne and juice toasts to celebrate! It truly is a once in a life time experience that you will always treasure. Once the celebration and excitement died down and our glasses were empty we were driven back to our cave hotel around 7:30 with the sun now risen and the day ahead of us. Shocked and heartbroken 💔 Thinking of Paris and the place this incredible monument holds in time and in the hearts of many. Wishing and hoping for the safety of all firefighters as they work to save this icon of the French nation.